Let's start off with the fact that I am hopeless with cream products and tend to stick with powder based products because I find them much more easy to use. However one day I finally decided to be brave enough and put this to the test. I will admit I really like the packaging, there's just something about it that looks kind of pretty and surprisingly doesn't make me think of a Rimmel product. The dual end contour comes with your chosen shade (light, medium or dark) and a highlighter. For its small price tag of €7.99 it doesn't break the bank! I picked up the light shade, I didn't swatch it I just bought it which when I got home scarred me because when I finally did give it a swatch it is very much on the orangey side which I'm not very fond of for contouring, I usually opt for something with a grey undertone as I find it looks the most natural on my skintone. I finally tried it out though and will say when you first apply it the colour does look scary but it does get better! The product itself is very creamy and so quick and easy to use, like with this I can literally contour and highlight my face within seconds. When you blend out the contour shade it does look a lot more natural and loses a lot of the orangey tone to it. I have been using this ever since I've first tried it and I'm just so obsessed with how quick and easy it is too use. I am using the contour side a lot more than the highlighter as even though it gives a nice little glow I prefer a blinding one so tend to use another highlighter on top of it. After using this for a few weeks now it's definitely gotten me over my fear of cream products and I'm so excited to start venturing out into trying other cream based products now. 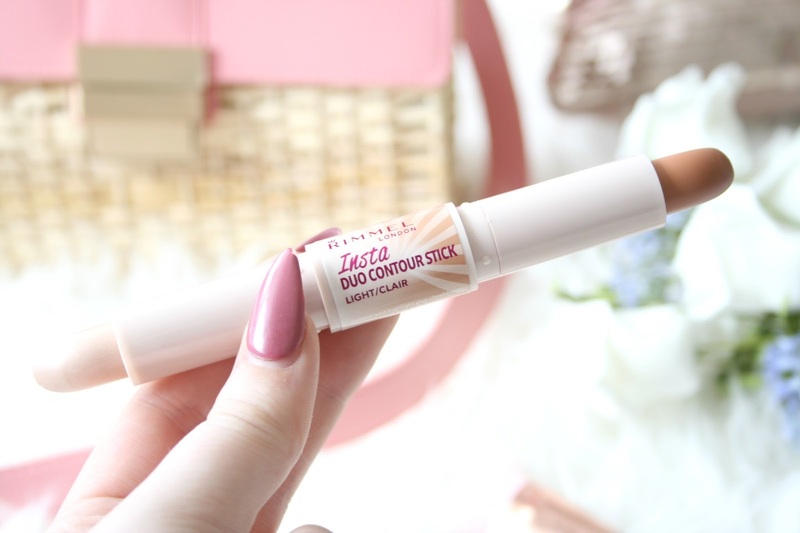 Have you tried the Rimmel contour stick yet? I nearly picked this up today, but decided against it just because I thought the contour side looked too 'muddy', but actually I really want to give it a go!